Earlier this month, Maine's highest court upheld a ruling that awarded $500,000 to a former employee of ExpressJet for being denied promotions because he's gay. Portland-based Edward Russell, who was out at work, was repeatedly told by his ExpressJet superiors that he could not advance from his supervisor role to general manager. Part of the reason, according to some at the company, was because three women sued the airline in 2003, claiming only gay men were given managerial positions. Even though Russell often assumed the role of general manager when the acting general manager was on medical leave or transitioning to another job and was regarded well by his superiors and employees, he was told time and again that he would not be promoted. A culture of homophobia became apparent to Russell when "a new general manager in Portland told another employee in Russell’s presence that the operation needed to 'clean house' and that 'homosexuals' are 'an abomination in God’s eyes,'" reports Gay City News. Russell still sought promotion after that 2006 incident, but to no avail. He quit the following year and filed a discrimination claim. A jury awarded him over a $1 million in damages, though the trial judge reduced that to $500,000, the statutory limit. 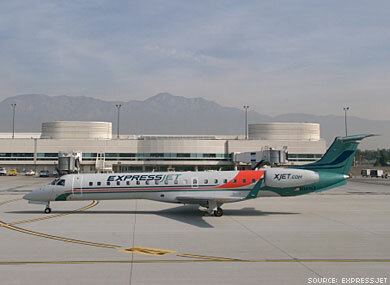 ExpressJet appealed, saying Russell never formally applied for a promotion. Maine's high court incited the "futility exception," which says that if someone doesn't apply for a job because they're told they won't get it, that person was still subject to discrimination. The Maine Supreme Judicial Court also denied ExpressJet's claim that Russell's claims for emotional distress were too excessive.